PITTSBURGH — The expectations were modest at first. The New York Islanders simply wanted to be better than the team that allowed the most goals in the NHL in 2017-18. Tougher to play against. Smarter on both ends of the ice. The Islanders held Pittsburgh to just six goals, trailed for less than five minutes the entire series and didn't buckle late in the clincher despite losing defenceman Johnny Boychuck and forward Cal Clutterbuck to injuries in the second period. 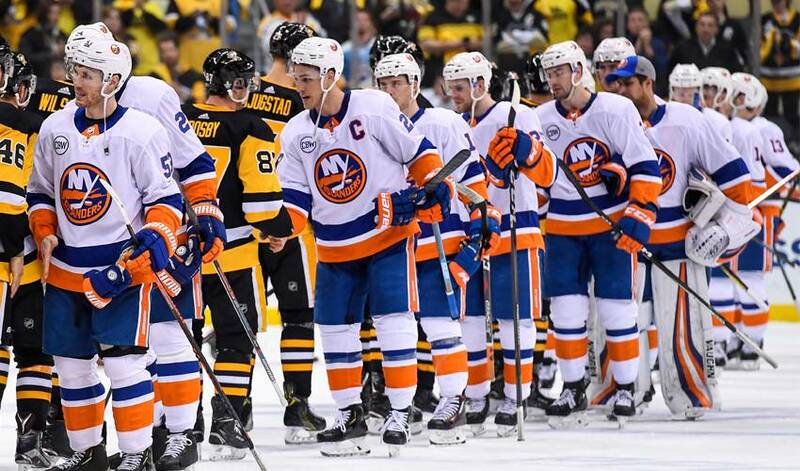 When the final horn sounded, New York found itself shaking hands and moving on after needing a little over 12 periods to bring Pittsburgh's 13th straight playoff appearance to an abrupt and decisive halt.